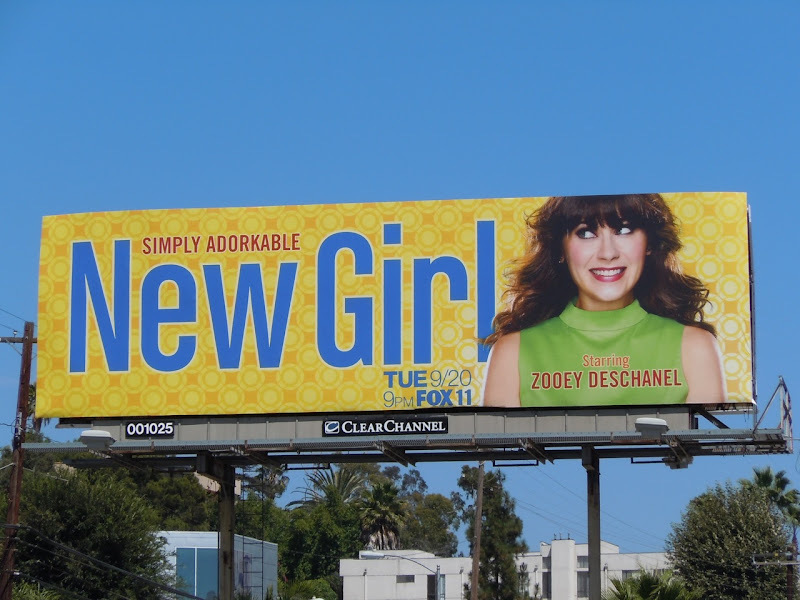 Zooey Deschanel does look 'simply adorkable' in these billboards for her new sitcom, New Girl. She stars as 'Jess Day', who after a bad break-up moves in with three male roommates. 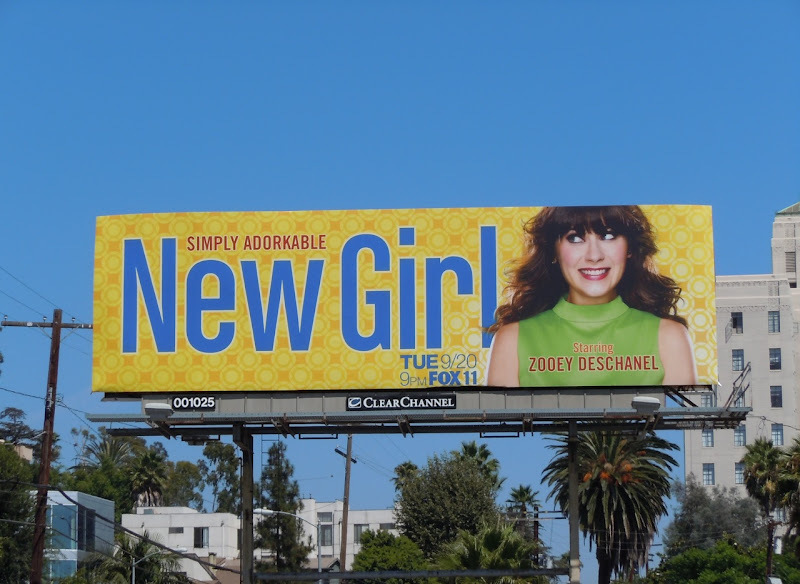 Let's hope Zooey brings some of her offbeat charm from (500) Days of Summer and that hilarity will ensue with this new comedy. 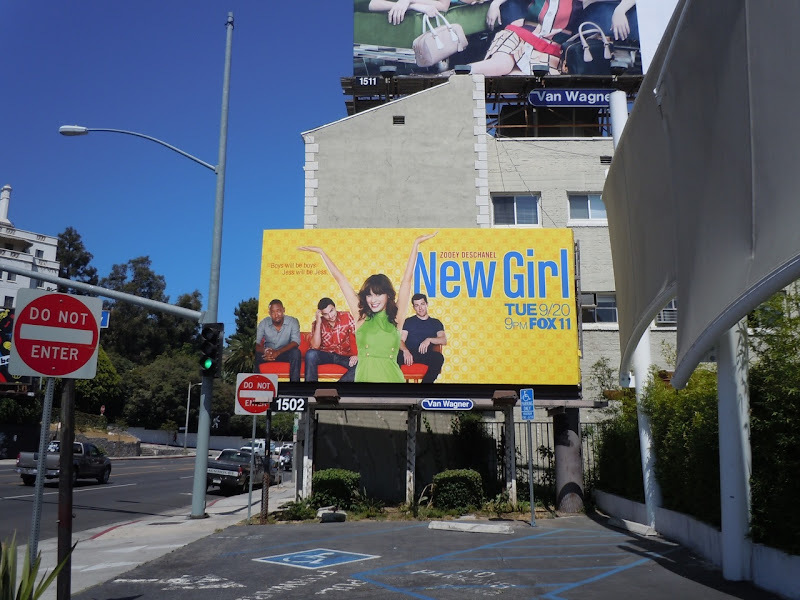 That zesty yellow background really does make these billboard creatives pop against that California blue sky. 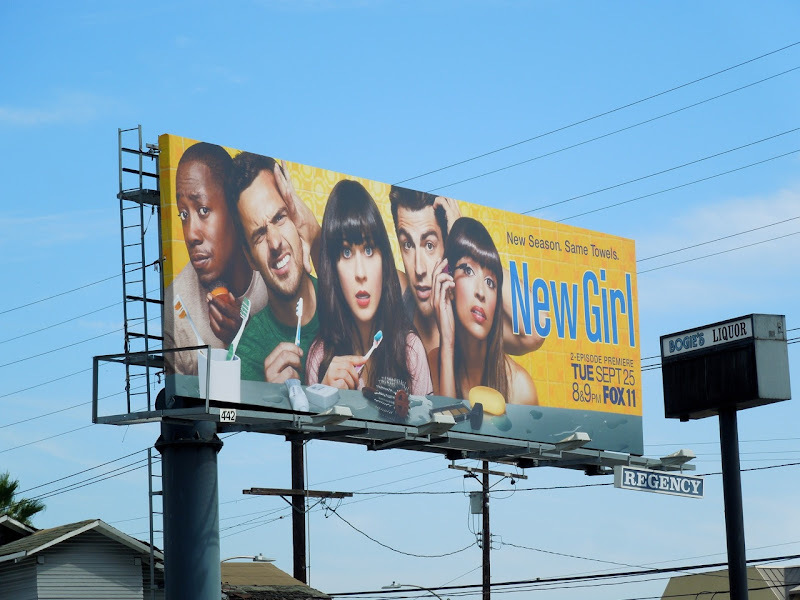 Yellow really does make for an eye-catching billboard colour, so for more great examples check out these billboards for The Help, Kung Fu Panda 2 and Megamind. 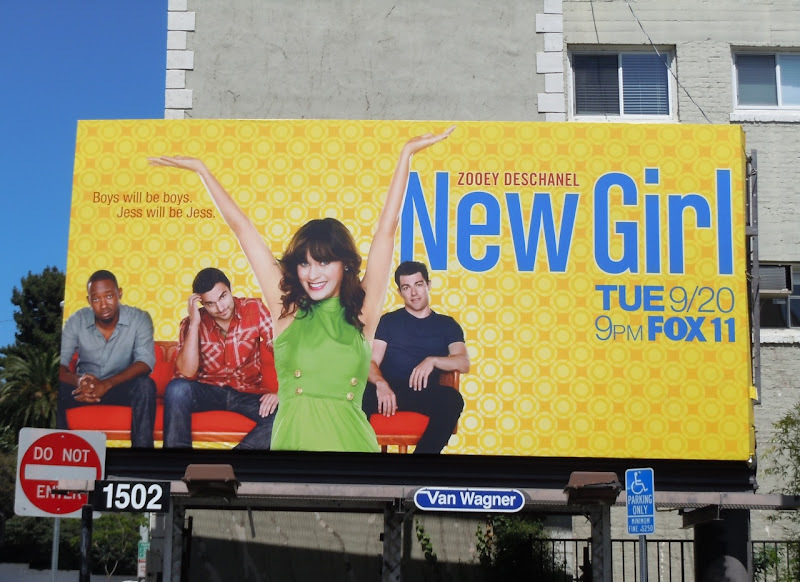 The smaller billboard version for New Girl was photographed along Sunset Boulevard on August 17 and standard format along Highland Avenue at Franklin Avenue on August 21, 2011. 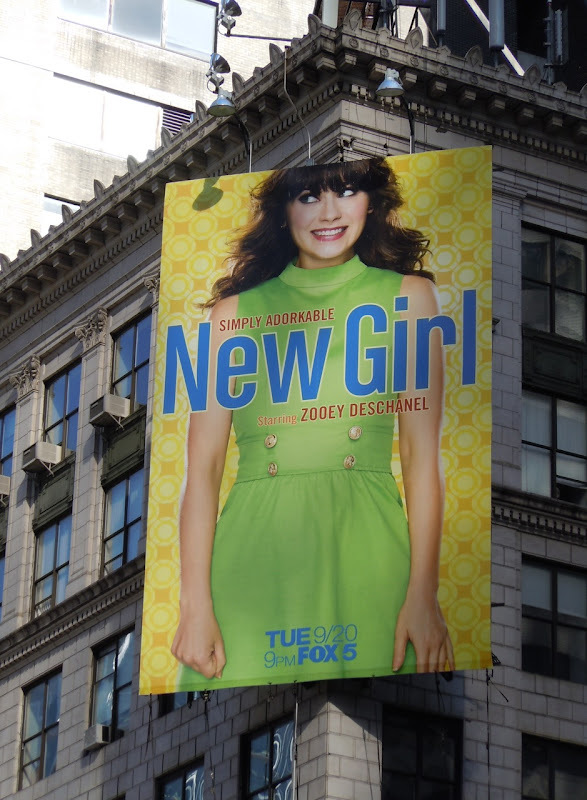 UPDATED: Here's another different format billboard featuring New Girl's Jess snapped along Broadway and West 52nd Street in New York City on November 6, 2011. 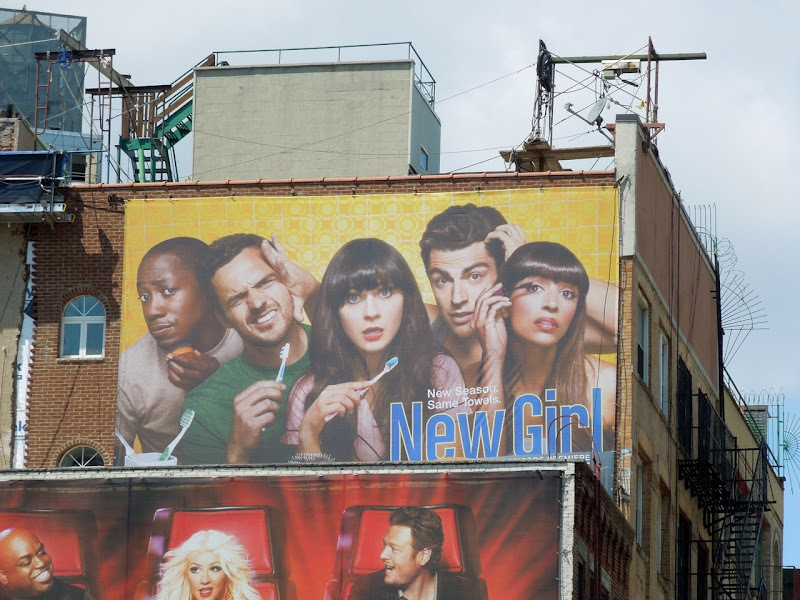 UPDATED: Jess and the gang are back for their sophomore season (so she's not such a New Girl anymore) and here's the season two billboard snapped above the streets of lower Manhattan on August 28, 2012. 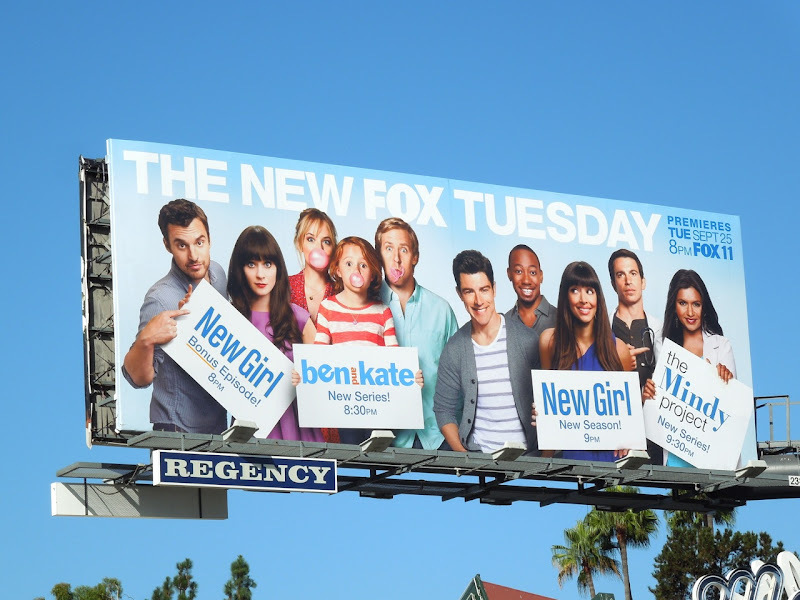 Daily Billboard loves the 'New season. Same towels' tagline for the ad creative. 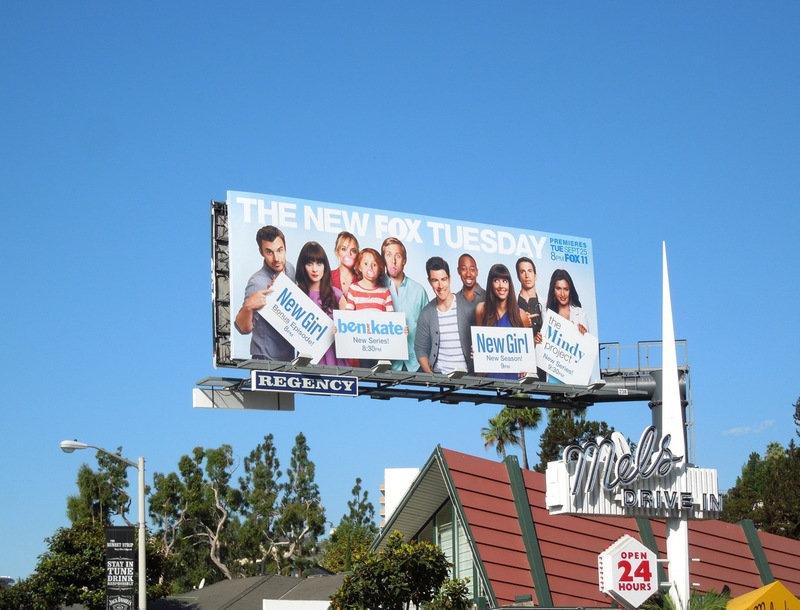 In addition, here's a collective billboard creative for Fox's Tuesday comedy line-up this Fall season snapped along Sunset Boulevard on September 3, 2012, featuring the crew from New Girl alongside the stars from new debuting shows The Mindy Project and Ben & Kate. 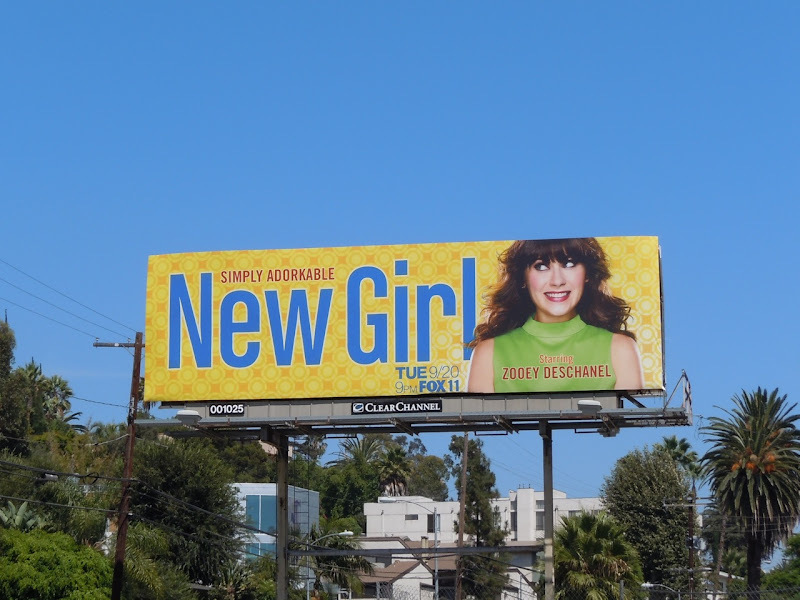 UPDATED: There's certainly not the same heavy-weight ad support for the returning comedy as at its launch, but here's a billboard for season two of New Girl snapped along Melrose Avenue at North Rossmore Avenue in L.A. on September 22, 2012.